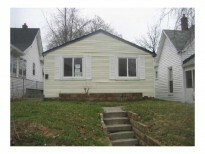 View - 916 W 27th St.
Two bedroom two bath ranch on northwest side of Indy. Home has been recently updated. Updates include new carpet, kitchen items,bath items, and paint.